Email marketing is used extensively today because it is quick and inexpensive. Email helps in getting your marketing messages in front of your audience in a short span of time. In today’s competitive and fast-paced world of internet, it comes across as an essential tool to grow your business. One can have the direct and interactive conversation with your targeted audience. 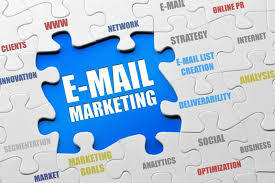 Email marketing is one of the strategies businesses and marketers should not ignore as it helps generate profit, increases brand exposure and strengthens your authority presence. This way you can stay in touch with your audience always. Email marketing brings in about $40 for every $1 you spend and it is considered as the highest ROIs for any type of marketing as disclosed by the Direct Marketing Association. The return on investment is one of the most compelling reasons to use email marketing by marketers today. In today’s digital world by avoiding paper, printing, envelopes, postage costs and mail handling you are saving money. You can also custom build an email newsletter template which can be used repeatedly and get your messages across to your audience much faster. Promotional email and new arrival email are some of the variety of emails sent to customers that generally help drive sales through email marketing. Benefits like free shipping or a free trial are known as promotional email. When you offer links in an email to shoppers, they can make a purchase instantly after receiving the update is called new arrival email. You can include your logo, tagline and brand graphics in the template design of your email communications to get your brand image noticed by your audience. This further builds brand awareness and recognition. Emails serve as gentle reminders about your business to your audiences as it can help your product remain on top of your mind. So, what kind of emails do you think will stay on top of your mind? There are various kinds of emails where it is more about staying in touch with customers and less about selling. Newsletters and a holiday email are a few examples. In a newsletter, you can keep your customer updated about the company, mention upcoming events or offer industry-specific news and tips. However, in a holiday email, you can send good wishes for New Year or Festivals offering customers discounts. These are a couple of best ways you can reach out to your customers. So, when your products are needed, customers will buy from you or refer them to your friends, family, peers, etc. To earn and grow the trust of your target market you need to be consistent in sending quality marketing emails that are relevant and adds value. This makes it easier for you to promote and sell your products and services. We all want loyal customers who will keep coming back again and again. This further builds a lasting relationship as you don’t just want one-time customers. As always said variety is best, but there are few emails like, Reorder emails and we miss you’ email that helps bring customers back into the sales cycle. A reorder email is an excellent way to remind customers that it’s time to purchase the much-needed product. Although this requires some tracking, it’s a great way to encourage repeat business. We miss you’ email can be sent to a customer when they have fallen off the sales grid for a while. Hence, you can send an email which includes a discount to entice the customer to come back. Email is a great way to keep your customers updated and informed about the trends, products, and services that are available. You can entice your customers to buy from you. It is important to grow your business network and what better way than email marketing. You can capture the contact details through a website opt-in box. Hence visitors are willing to receive an email as they have voluntarily filed the forms giving you permission to market to them. So, you can promote your email newsletter through social media, on your website and even in your email signature. You can use your email newsletter to test content topics, subject lines, etc. and then convert them into an information product. Moreover, you can repurpose the articles written into an ebook, whitepaper or even a free audio for content marketing. Sending your email newsletter to the right person at the right time can help you generate new opportunities like joint ventures, media interviews and building strategic partnerships, and more. So, don’t delay, send out your email newsletter now! Start promoting your recent blog posts to drive your email newsletter subscribers back to your website. Attract new visitors through social media by repurposing your content. To gain maximum exposure and visibility for your brand share your articles on article marketing and article sharing sites. Your email newsletter can be used by customers to recommend products you have used and you can also earn commissions on deals made from your recommendations. You can also sell the ad space available once your list grows. Emails give us a chance to make personal connections. Engaging with loyal members or when reaching out to new customers an email campaign is one of the best ways to build and nurture a relationship. Welcome email, newsletter or testimonial email these are a few varieties of emails that serve this purpose. While most of us agree with the fact that email marketing help to grow your business, some experts may still say email marketing is dead. It is but true that email is still considered as the number one marketing tool for building healthy business communication. To clearly understand email marketing, one has to experience it yourself. This entry was posted in Email Marketing and tagged does email marketing work, email marketing, what is email marketing and how does it work. Bookmark the permalink. 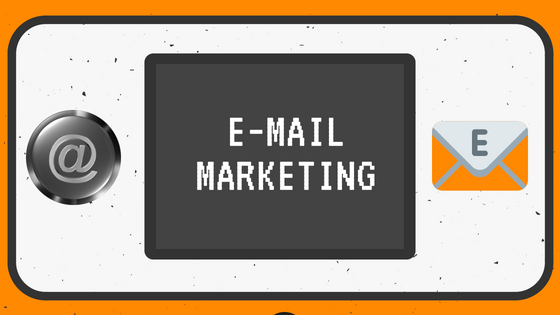 ← How email marketing can help your business?